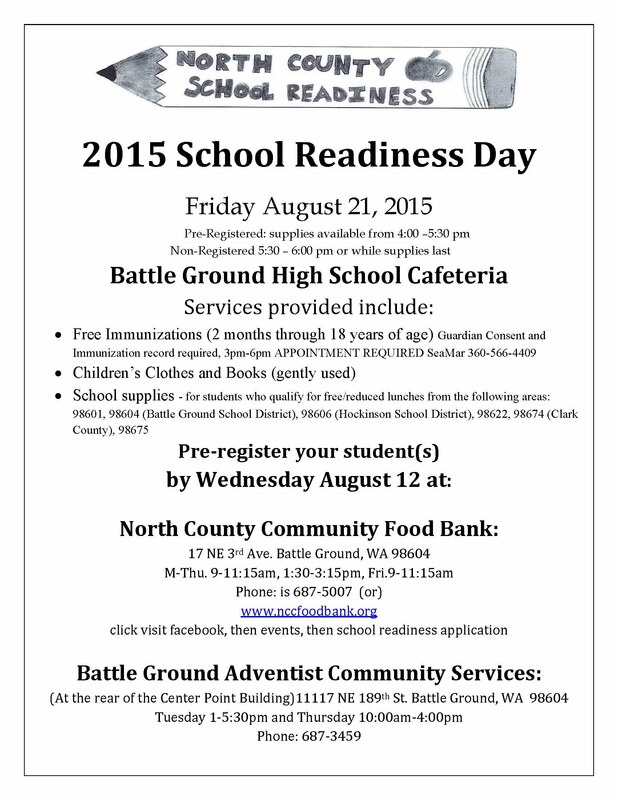 Registration is open for 2015 School Readiness Day, a program that distributes basic school supplies to students who qualify for free or reduced lunch in the Battle Ground, Hockinson, Woodland, and Green Mountain School Districts. 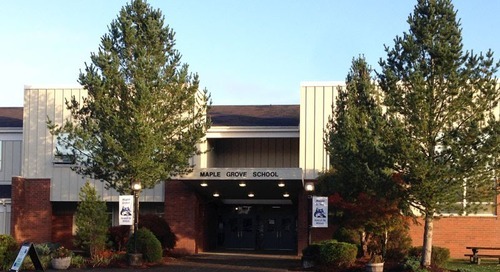 This year’s event is scheduled 4-6 p.m. Friday, August 21 in the Battle Ground High School Cafeteria. Please pre-register before Wednesday, August 12 at North County Community Food Bank: 687-5007 Monday-Friday or at Adventist Community Services: 687-3459 Tuesdays or Thursdays. Also at School Readiness Day, Sea Mar Community Health Center will provide free immunizations to children ages 2 months through 18 years old by appointment. Call (360) 566-4409 to pre-register for immunizations. A registered nurse will help you determine if your child needs vaccines and answer questions.